Active adults may experience worry or have feelings of anxiety from time to time. Experts now recognize that aging and anxiety are not mutually exclusive, according to the Anxiety and Depression Association of America (ADAA). Excessive and persistent worry about a number of different things can be a sign of Generalized Anxiety Disorder (GAD) and it affects 6.8 million adults each year, reports the ADAA. 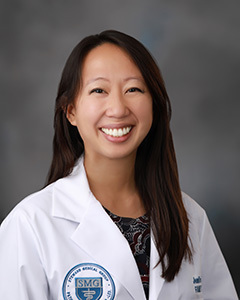 Learn how to manage these feelings, as well as depression, at a free senior breakfast seminar sponsored by St. Joseph Medical Center in the Heights featuring family medicine physician Jennifer Jung, M.D. Dr. Jung will provide an overview of the symptoms of anxiety and depression, review possible treatment options, and answer questions. The event takes place Wednesday, July 25, from 8-9:30 a.m. in the fourth-floor meeting room of The Heights Hospital located at 1917 Ashland Street. Senior Advantage Program members and adults ages 55 and up are welcome to attend. Seating is limited and reservations can be made by calling 713-969-5376 by 2 p.m., Monday, July 23. Membership in St. Joseph’s Senior Advantage Program is free. For more information or to join the group, visit sjmctx.org or call 713-969-5376.